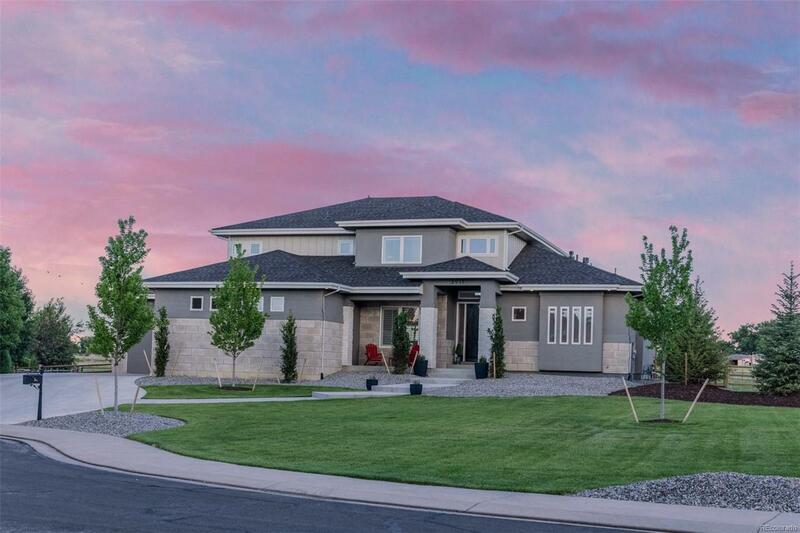 Beautiful modern 2-story home situated on a gorgeous estate lot in desirable Eagle Ranch Estates. 3 bed, 4 bath, upstairs loft, office / study with built in cabinets, formal / informal dining, gourmet kitchen with top of the line appliances, quartz counters & butlers pantry. Main floor master retreat features large 5 piece luxury bath, custom tile / finishes and dual closet. All bedrooms have private bath and walk in closets. Two story great room. Custom barn wood detail throughout. Central vac. Heated four car garage. Highly rated school district. Backs to open space! A must see!